This week we've got an all-new Raspberry Pi bundle, as well as all the best news from around the web. Got a Raspberry Pi and want to extend the functionality of the tiny PC? This could be your big chance - element14 have unleashed this XBMC bundle that will turn your Pi into a low-cost media centre. 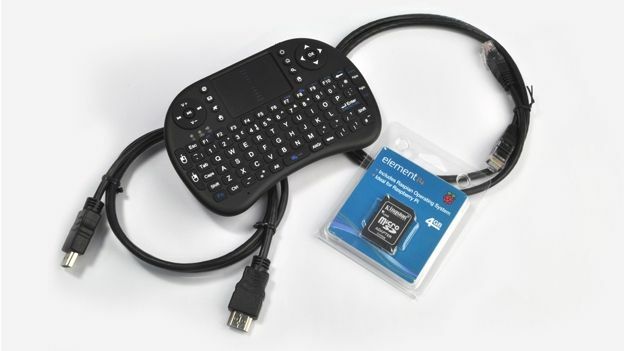 The XBMC bundle the bundle includes an ultra Mini Keyboard and integrated Mouse Pad that wirelessly connects to the Raspberry Pi, while HDMI and Ethernet cables are provided to connect to a TV or monitor and the internet. It allows you to stream content devices on your home network through the Pi, and also enables you to access your Xbox Live ID to recommend content.